It is with heavy hearts that we announce Fr. Ray’s passing on Saturday, January 5, 2019, in hospital in Ontario after a brief illness. Born in Alder Point on November 1, 1938, he was the son of Raymond and Mary Helen (Bonar) O’Toole. Fr. Ray attended Riverview High School and was a member of the Sea Cadets. 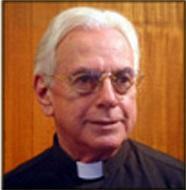 After graduating he moved to Scarborough, Ontario where he entered the Scarboro Missions novitiate in 1957, studied Philosophy and Theology at St. Augustine’s seminary (1958-64), and was ordained a missionary priest for Scarboro in August 1963 by Bishop William Power of Antigonish Diocese. Appointed in 1964 to Scarboro’s mission in Brazil, Ray served there until 1968, returning to Canada to study for his Licentiate in Theology, (St. Paul’s University Ottawa,) and later studies (1977-80) at University of St. Michael’s College (TST) Doctorate of Ministry degree. In the early 70’s Ray served several years in Scarboro’s mission in St. Vincent, West Indies, then Scarboro’s Mission Information Dept., Justice and Peace Office and in 1985 as Director of Field Education at the Toronto School of Theology. In 1988 Ray began a new mission, serving in Hong Kong, as Research Associate at the Holy Spirit Study Centre. In 1997 Ray was elected to a five-year term on Scarboro’s General Council, after which he returned to Hong Kong, to be appointed Secretary General to the Federation of Asian Bishops (FABC), a position he served until returning to Canada. Through these years Fr. Ray returned to Alder Point whenever he was able. His favorite thing to do while at home was to spend quality time with his sisters and brothers, catching up on family news and sharing his stories with them. Fr. Ray was an important part of all of our lives and we will greatly miss his visits and phone calls. He will always be in our hearts. He is survived by his sisters, Dean Power, Glace Bay, Florence McNeil and Shirley (Clyde) MacQuarrie, Alder Point; sisters-in-law, Anne (O’Toole) Musgrave, North Sydney and Marjorie O’Toole, Pictou. He is also survived by brother-in-law, Barry MacIntyre, Sydney Mines; many nieces, nephews and numerous cousins, and his close friend and cousin, Reg Bonner. Besides his parents, Ray was predeceased by his brothers, Francis, Aussie, and Bobby; sister, Lenore MacIntyre; brothers-in-law, Allison Power and Earl McNeil and many nieces and nephews. A memorial Mass was celebrated on Wednesday, January 9, 2019, at 11 a.m. at Presentation Manor, Toronto Ont. The community of Scarboro Missions wishes to express our deepest gratitude for all the care extended to Ray in Hong Kong, by the Focolare community, St. Paul’s Hospital staff, and to the Jesuit community and staff in Pickering Ont. May he rest in Peace, having served Christ and his mission faithfully to the end. The Funeral Mass will be celebrated on Saturday, January 12, 2019, at 10:30 a.m. in St. Joseph Church, Bras d ’Or, with Fr. John Lynch SFM and Fr. Peter McLeod officiating. A luncheon and social will follow in the Bras d’Or Hall. Fr. Ray’s final journey will take place under the support and guidance of J.M. Jobes Funeral Home. In lieu of flowers, donations in Ray’s memory may be made to Scarboro Foreign Missionaries or a charity of your choice.